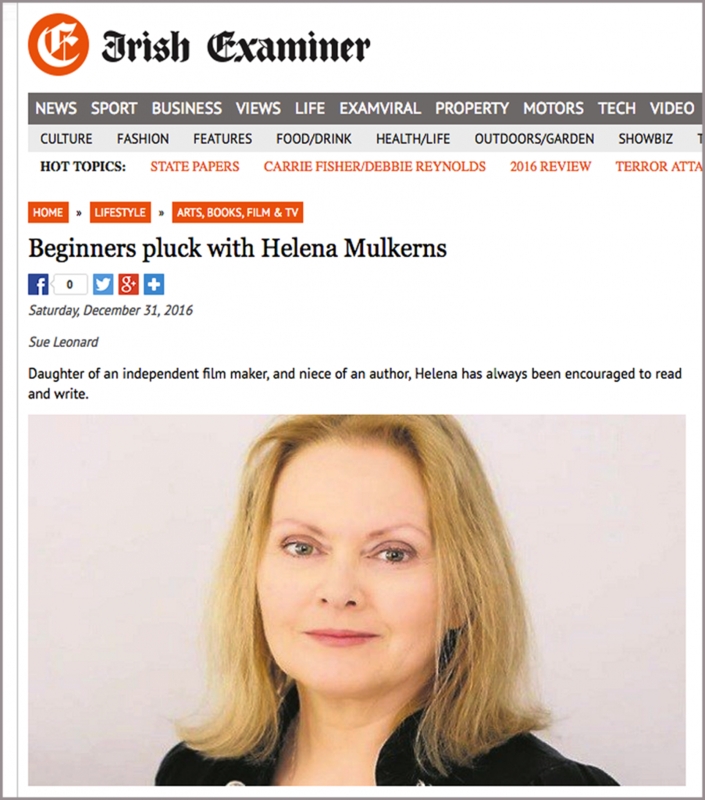 So delighted to get up this dark December morning and read the lovely piece today in The Irish Examiner by Sue Leonard, run as part of the “Beginner’s Pluck” column. Sue’s kind words further made my day as she accredited the work with something every writer tries to acheive: Whether she is describing the heartbreak of a family whose child has been damaged by a landmine; the impermanence of love on the field, or an exquisite encounter on a beach at dawn, Mulkerns creates magic. With the verdict concluding that the book is “quite a wonderful collection of linked stories” I’ll be starting the new year on a high tomorrow. It was great to meet with Sue and chat, and you can see more about her on her own website here. Meanwhile, click here or click on the image below for the article. My favourite line of it quotes me on working for Hot Press Magazine during my rock’n’roll years: “I was hanging around backstage with various bands,” she says.’ Yes indeed – what a job description! 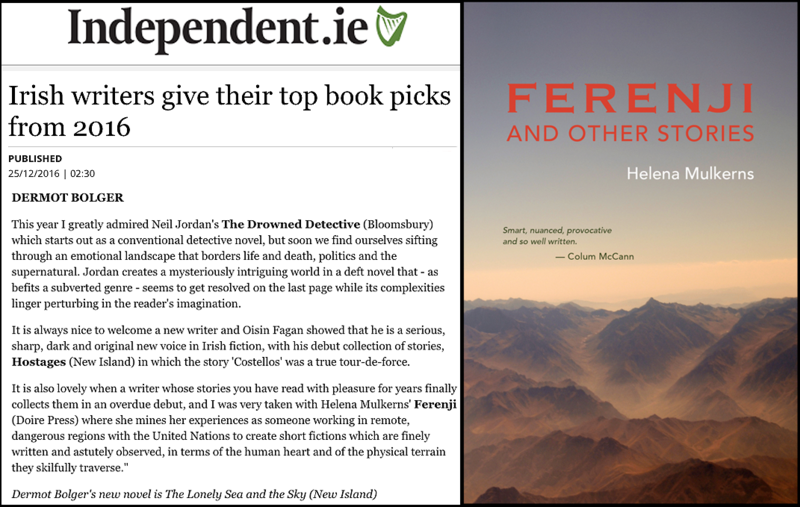 The Irish Independent newspaper asked Irish Writers for their “top book picks” of 2016 for the Christmas Eve issue, and it was great to see Dermot Bolger giving the heads up to Ferenji in his input. Click here or on the image below for details. 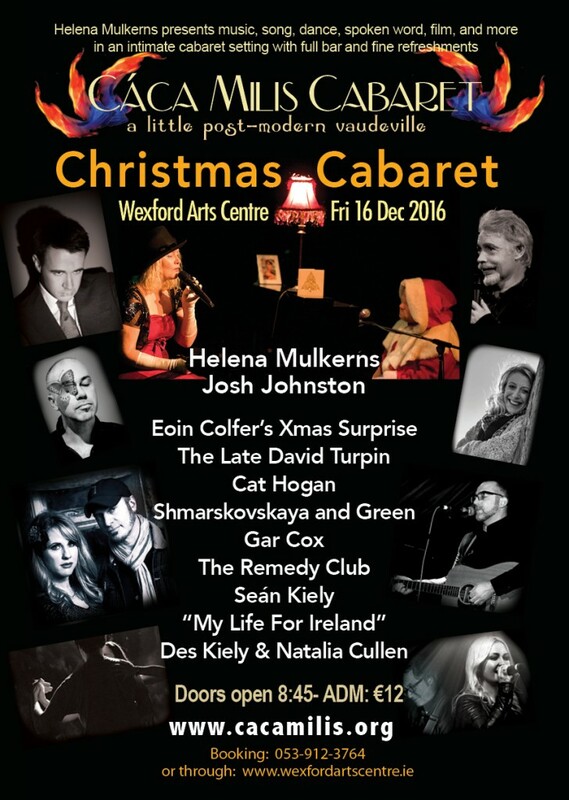 Now in its 7th year, Cabaret hosts Helena Mulkerns and Josh Johnston are always happy to return to the Cáca Milis alma mater, The Wexford Arts Centre. This time around, Mulkerns, fresh from the success of her own fiction debut, “Ferenji” (on sale at The Wexford Book Centre) is excited to present both new and long-standing Cabaret performers. The evening will kick off with some tributes to the ones that got away this year, including Bowie, Cohen and Prince, and then there will be high drama as dancers Ellina Shmarkovska and Andrew Green perform some sensual Argentinian Tango and Milonga. We’re delighted to welcome Natalia Cullen, a popular chanteuse in the Russian Irish community, joined by musician Des Kiely for some smooth vocals and jazz guitar. Readers may be most familiar with the fine singer songwriter Gar Cox through his wonderful song, “Too Late For Christmas” and its yule time reflections of an Irish person living abroad issued last year. He’ll sing it (and more) tonight. To provide some literary thrills, author Cat Hogan will read from her best-selling book, “They All Fall Down”. And to rev up the night, don’t miss the much-anticipated performers Aileen Mythen and KJ McEvoy – otherwise known as The Remedy Club, one of Wexford’s hottest blues/rock duos. Then: the movie! For your entertainment pleasure, we present My Life For Ireland the brilliant and hilarious story of a young Irish man willing to fight for his country. Directed by Kieron J. Walsh and written by Patrick McDonnell, it gives the 1916 commemerations a whole new take… Following that there’s a last minute Christmas surprise as the inimitable Mr Eoin Colfer, along with cast members from the upcoming production NOËL, will present a song from the show, playing from 19-23 December at the Wexford Opera House. 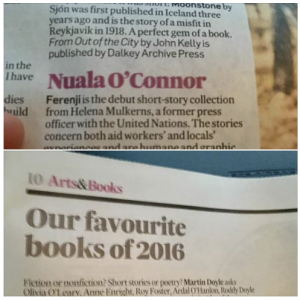 Wexfordian Seán Kiley’s original poetry and short fiction, already published in several anthologies and reviews, has made him a man to look out for in Wexford letters. He’ll be reading live for the first time on Friday night and is sure to receive a warm welcome. Top of the night the audience can expect a treat as the compelling artist known as The Late David Turpin takes to the stage. His work could be described as a sort of superlative fusion of mood, fantasy, glam and techno. Performing with a visually stunning multi-media edge, it’s not surprising that David is involved both in music and in film. His first feature screenplay, “The Lodgers” is currently in production.